The beginning is built on something very strong which justifies the strength of an endless thought of you. So, your love is the true corner stone for the achievement of our togetherness and oneliness. I never ever thought I had like you this much and I never planned to have you on my mind this often. 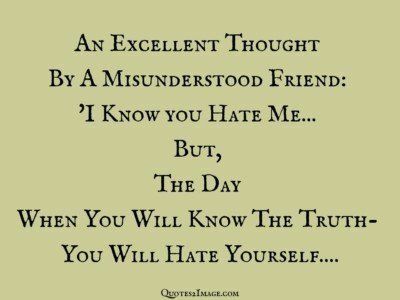 An Excellent Thought By A Misunderstood Friend: ‘I Know you Hate Me… But, The Day When You Will Know The Truth- You Will Hate Yourself….